Underworld is a four-part story that was written by Bob Baker and Dave Martin that ran from 7 January to the 28 January, 1978. When the TARDIS arrives at the edge of the cosmos, the edge of what is and what can be, they think they are alone, but quickly find that there is another ship there as well… A Minyan ship, one that has been travelling for thousands of years… They are on a search that seems never-ending, they are seeking out a long-lost ship, filled with colonists and the data banks of their race. The colonists left their home world eons ago, after the planet encountered the Time Lords, who at that point, had not subscribed to their policy of non-interference, and caused great grief for the planet, and its inhabitants. The Minyans revered them as gods, and accepting advanced technology and aid from them, pushed them to the edge of extinction. The dread they have created with their name still lingers, and when the Doctor reveals himself, it may get him into more trouble than he expected. It is here that the Doctor discovers that this off shoot of the Minyan race, though similar have been on their own for so long that they don’t realize the technology on hand in the form of their ship, and have all succumbed to the control of an upper-class, working as a slave race in a controlled population, all over seen by an ego maniacal computer. 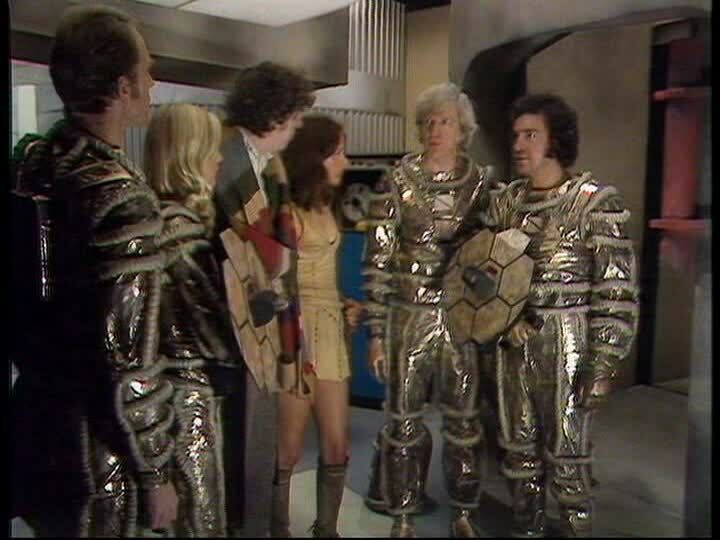 Can the Doctor and the crew recover the needed data banks from the colony ship? Face off against the computer, and perhaps even save the Minyan race once and for all? This one ended up being a very fun, and enjoyable story with amazing looking sets, but there’s also the suggestion that somewhere along the way, over the course of the season, too much money had been spent, so there is a lot of blue-screen action in this story… anytime characters need to wander caves or the like, it’s all special effects, the only real sets in the episode are the TARDIS, and the Minyan ships. 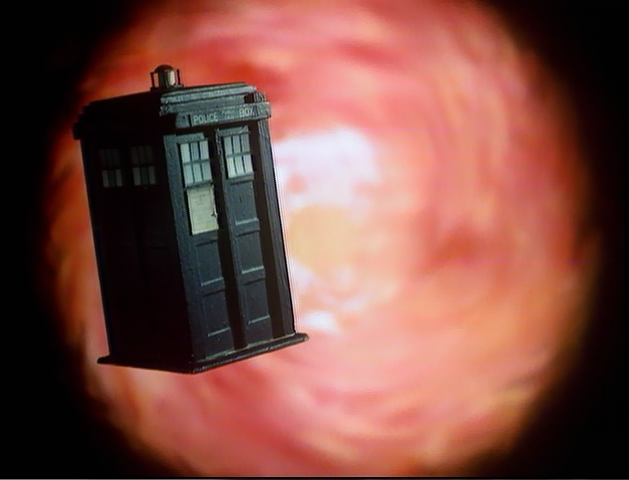 Next week brings us to the end of the 15th season with The Invasion of Time!